A group of U.S. military veterans has vowed to block completion of the hotly disputed Dakota Access pipeline, despite the secretary of the Army giving the project the green light. 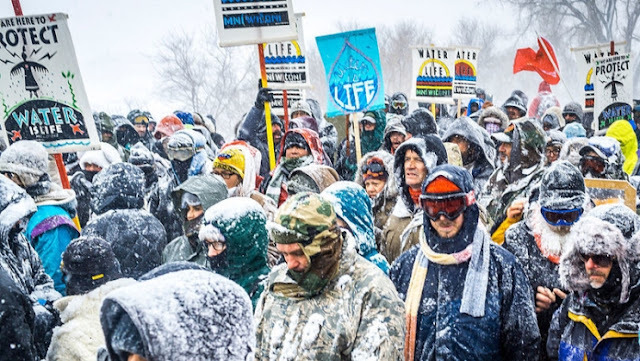 "We are committed to the people of Standing Rock, we are committed to nonviolence, and we will do everything within our power to ensure that the environment and human life are respected. That pipeline will not get completed. Not on our watch," said Anthony Diggs, a spokesman for Veterans Stand. Diggs added that the group hopes to raise enough funds "to have a larger, solid boots-on-the-ground presence." The secretary of the Army instructed the U.S. Army Corps of Engineers to grant Energy Transfer Partners the easement it needs to complete the final stretch of its $3.7 billion pipeline, Sen. John Hoeven and Rep. Kevin Cramer, both of North Dakota, said Tuesday. President Donald Trump last week signed executive actions to advance construction for Dakota Access and another disputed pipeline. 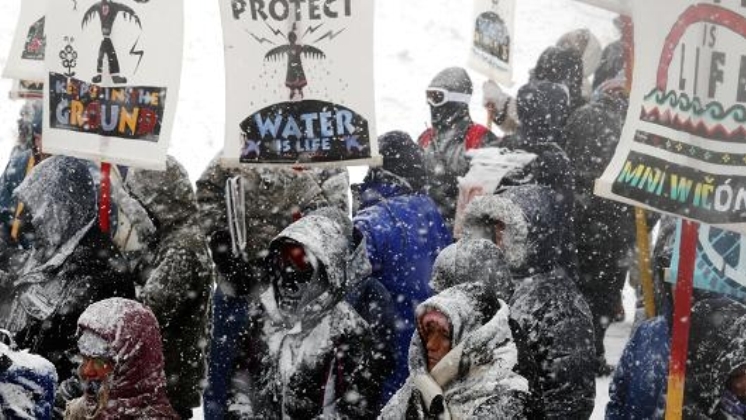 The Standing Rock Sioux tribe also on Tuesday vowed to mount a legal challenge claiming the Corps lacks the statutory authority to stop an environment review and issue the easement. The tribe opposes construction, saying the pipeline passes beneath a source for its drinking water and construction would disrupt sacred land. Their campaign has drawn thousands of protesters to camps near Cannon Ball, North Dakota, in recent months. In December, the Corps denied the easement and said the best path forward would be to consider alternative routes for the project by conducting an environmental review with public input and analysis. The Standing Rock Sioux also took issue with Republican lawmakers who claimed the easement had already been granted. The headline on Cramer's statement on Tuesday read, "Approved — Dakota Access Pipeline receives federal easement." The Indigenous Environmental Network raised concerns that attempts to force through approval would stoke tension at protest camps, where activists have already clashed with law enforcement. CannonBall, ND - Today Robert Speer, acting Secretary of the Army Corp of Engineers, directed the Corps to proceed with the easement to complete the Dakota Access Pipeline. While this is not an official grant of the easement, it does indicate that the Corps will disregard the Environmental Impact Statement that was ordered by the Obama Administration and completion of the controversial pipeline could begin as soon this week. “We are disgusted but not surprised by the Secretary of the Army’s decision to recommend the easement on the Dakota Access Pipeline. Instead of following proper legal procedure and completing the Environmental Impact Study, the Army has chosen to escalate an already tense situation, go against their own processes, and potentially put peoples in harm's way. 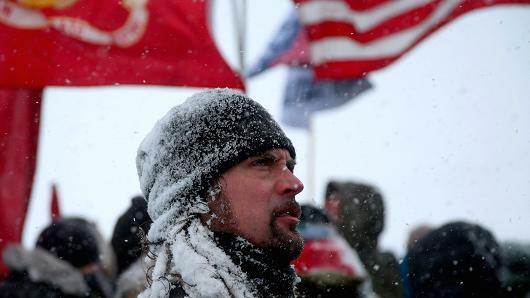 Last week, Veterans Stand announced plans to support the protesters camped out in North Dakota. 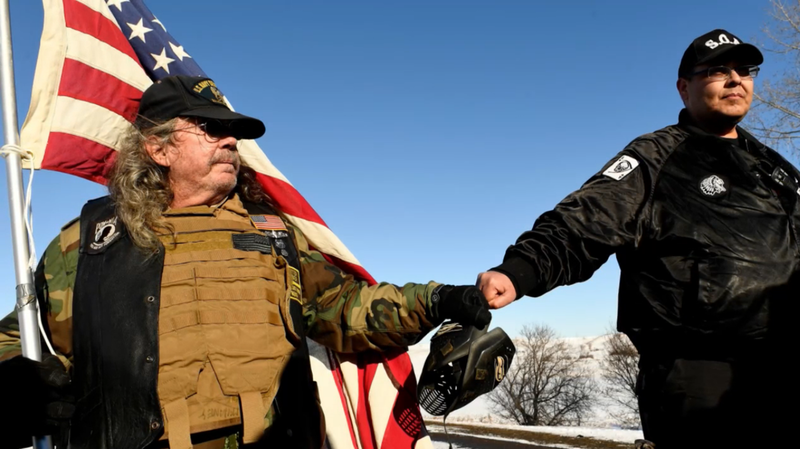 Those efforts include a plan to quickly mobilize thousands of U.S. military veterans to return to Standing Rock after about 4,000 traveled there in December. 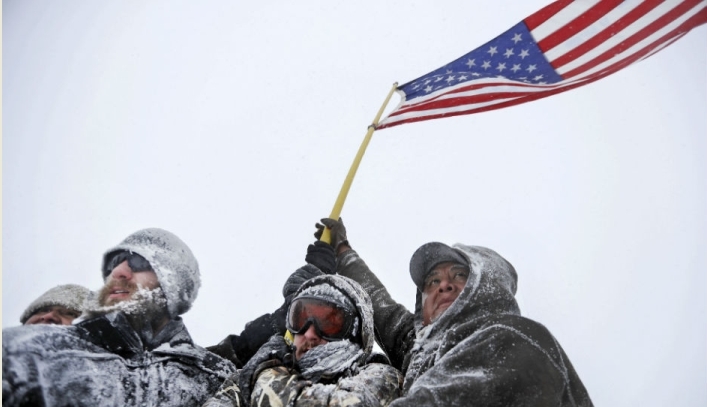 The presence of veterans among protesters potentially sets up a public relations challenge for the DAPL team. Efforts by activists to boost their presence could be hampered by forecasts for flooding in the region. Numbers have already dwindled due to harsh winter weather. If the group Veterans Stand is able to ensure that the boots of thousands of U.S. military veterans are on the ground alongside water protectors, it could put the White House in an extremely precarious position in the event that military or police action is taken against the Standing Rock Sioux or other protesters. In fact, the presence of veterans could make the difference between forcible removal of protesters and rational negotiations. "The 4,000 could have easily turned into 20,000, because that's how we're trained to operate." Responses to "US veterans group says Dakota Access pipeline 'will not get completed. Not on our watch'"
Trump is writing his own rules and expects others to follow them,, well the rules were made for protection of such people.. Have them follow their laws on easment, do not let them short cut the laws..